Combine coconut milk, red curry paste, sugar and fish sauce in a large ceramic bowl. Add chicken breast, turning to coat each side and leave to marinate for 1 hour. 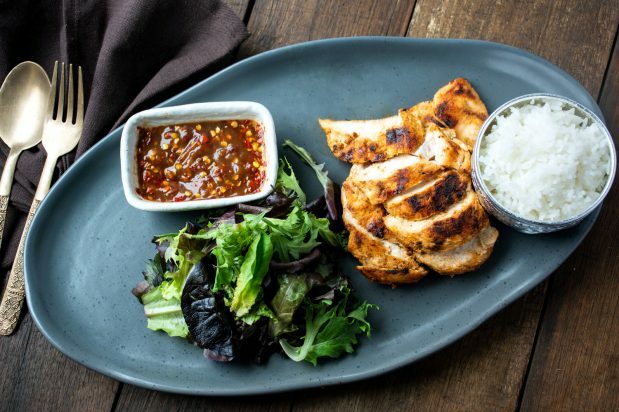 Slice chicken breast and place on a serving plate lined with salad leaves.